To raise money, they sold Christmas trees, rug cleaner, raffle tickets, and food. There was a mortgage burning in 1962. Wow. 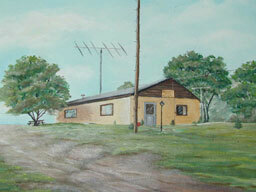 In the early years, the clubhouse was just block walls and a hanging propane heater. Other projects included the well, outhouse, kitchen, septic tank, and plumbing, all done by the members. 1966 saw the oil furnace, paneling and insulation via Don- KJ3Q, and other improvements. 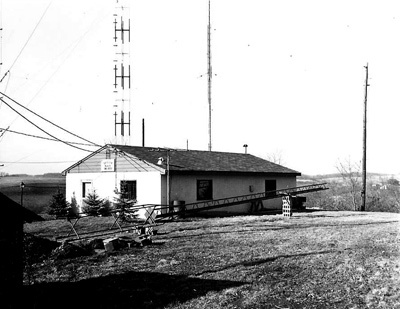 Also during this time, ham classes were held, ham-fests, field days, and towers erected. All by a group of guys in there 30s with families! 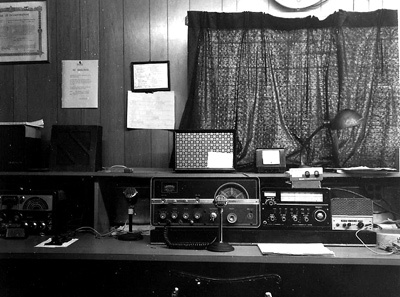 In the early days the clubhouse was filled with the sounds of DX-100s and SSB converters and the like. 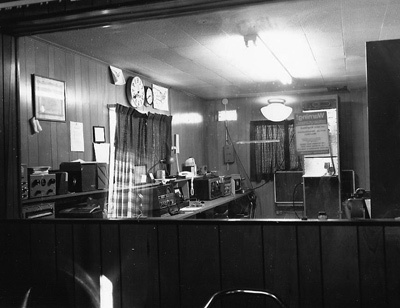 In 1968, the AKARA merged with Skyview Radio Society.